Thanks, Jeff. Now onto the wine. While Germany has been making wine since at least 100 A.D. it has always been a struggle. It’s super cold up there! Germany’s 13 wine regions are scattered alongside rivers like the Rhine and Mosel. Even with the close proximity to water and planting grapes like Riesling that thrive in colder climates, until recently (in the past 40 years) it wasn’t uncommon for grapes to only become ripe 2-3 times a decade. Just take a second to imagine that: you’re a winemaker and over 75% of the time the weather is too cold for your grapes to ripen enough to make wine. To say that winemakers in Germany are resilient and stubborn is a serious understatement! The historical scarcity of these wines is partially what makes Germany such a lauded region. In 19thcentury London, German Riesling was sold at wine auctions for more dough than First Growth Bordeaux’s and Grand Cru Burgundy! One magical part of German wine is that this country is the master of acidity and precision. The cool climate and soils types (like slate and basalt) help create wine that is, in a nutshell, sharp, elegant, stony, and driven. Onto the grapes! Ah, Riesling. It’s the misunderstood redheaded stepchild of grapes – and as a redhead and a Riesling lover – Riesling is very dear to my heart! Firstly, let’s get this MUY IMPORTANTE fact out of the way: Riesling can be BOTH dry and sweet. In Germany, where 60% of the world’s Riesling is grown, there are stunning examples of Trocken (bone-dry), Feinherb (off-dry with a touch of sweetness), and all the way down the spectrum to Trockenbeerenauslese (dessert wine similar to Sauternes that will melt your heart with caramel sweet notes). If you’re skeptical of Riesling please come to this tasting and let us woo you with Riesling. So, if you’ve ever been confused when looking at a German wine label you are NOT alone. Unlike other countries, the system for classifying wines has traditionally been based on levels of ripeness of the grapes when picked; if you’ve seen words like Kabinett, Spatlese, and Auselese then this is what they are referring too. But in the past 40 years, global warming has drastically altered the weather patterns. As written in the New York Times by our wine crush Eric Asimov, “As exceptional as 2018’s harvest looks, it’s also a sign of how much conditions have changed and are changing for the German wine industry. “We are the big winners from climate change,” said Dirk Würtz, a vintner and wine journalist. “I know it’s disgusting to say, but it’s the truth.”” Now it has warmed up enough for grapes to fully ripen every year. German winemakers are discussing whether the classification system based upon grape ripening even makes sense anymore and they are in the midst of figuring out a new way to categorize their wines. Warmer temperatures have also changed what grape varieties are grown as well. Right now 40% of the wines produced in Germany are red and come from grapes like Spätburgunder (Pinot Noir) and Lemberger. Even though the climate is warmer, it still takes an incredible amount of skill to grow red wine here! See you Saturday, Wine Peeps. What: May I present his Majesty, King Riesling! Fun Fact: In 1803 Napoleon conquered the Rhine region and divided up vineyards among hundreds of individuals; this is why German vineyards resemble those of Burgundy with most people owning very small amounts of land. What It Tastes Like: Piercing full-bodied acidity with petrol, lemon-lime and plush body. 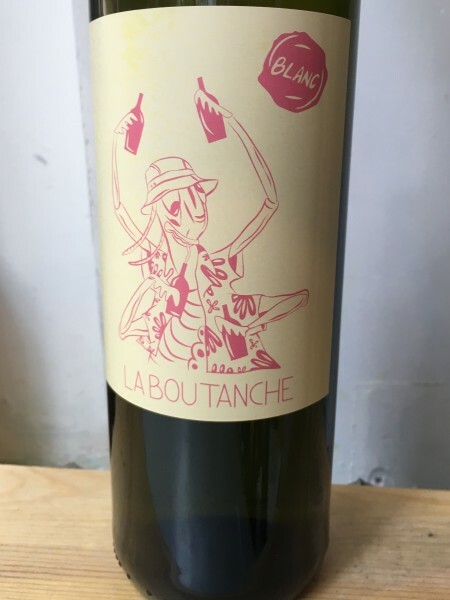 Fun Fact: ‘La Boutanche’ is a line of wine from a cooperative of passionate winemakers who wanted to create a brand of fun, organic wine. You’ll recognize them in the shop because they all have labels featuring drinking cartoon animals! What’s better than a grasshopper in a Hawaiian shirt? Basically nothing. What It Tastes Like: Groovy stoniness with notes of tart apricots and clementine. Fun Fact: Lemberger is another name for the grape varietal Blaufränkisch, a red wine full of rich, black fruit notes countered by pepper flavors and bright acidity.Blaufränkisch is a parent grape of both Gamay and Zweigelt. What It Tastes Like: Silky notes of prunes, violets, and juniper. 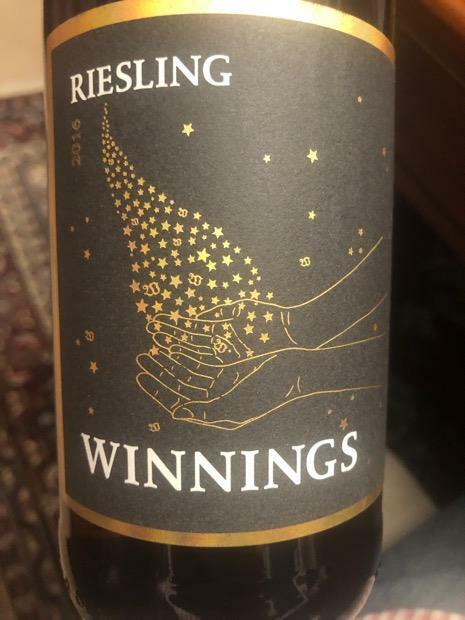 Who: Winemaker Stephan Attmann teamed up with friend and importer Terry Theise and legendary cellar master and spirtual mentor Hans-Günther Schwarz to make this special Riesling. Fun Fact: The name ‘Pfalz’ comes from Latin, meaning ‘palantinus’, aka palace. In modern day Britain the Pfalz is referred to as Palantinate because it was once controlled by palatine lords. What It Tastes Like: Snappy crisp cucumbers, briny, and apple skin resembling a Normandy cider. Fun Fact: Ürziger Würzgarten is a vineyard situated on an extremely steep slope in the Mosel and the volcanic and slate soil is a bright candied red in color. The color comes from the high amounts of iron in the soil. What It Tastes Like: Spicy and sleek with notes of guava and pineapple.